Blue ribbon coverage for your prized livestock. 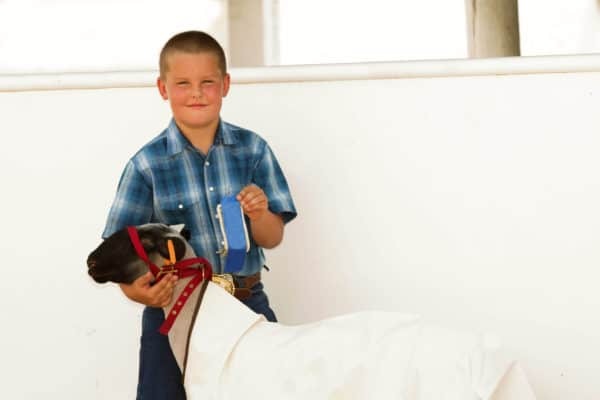 Raising a lamb, pig or other farm animal for a 4-H or FFA club exhibitions or contests can teach great skills, including hard work, dedication and responsibility. Make sure your animal is covered with 4-H and FFA insurance from a company that understands the effort you put into your show animals. Animal Mortality provides coverage for the value of your show animal in the event of death of your animal. We offer many ways to conveniently pay your 4H premiums. Choose from a full payment or a monthly automatic draft from your bank account. Check with an OKFB agent to see which option may be best for you.